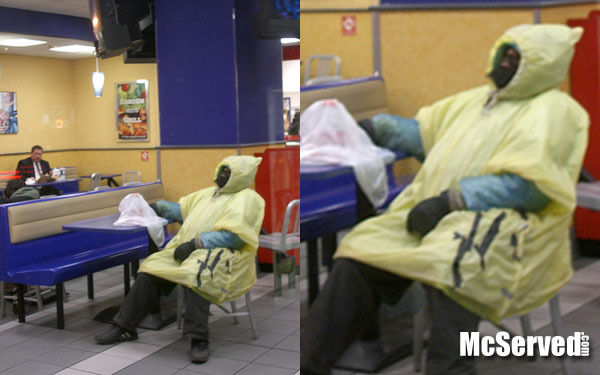 Always use protection | McServed: Getting Served McDonalds Fast Food Funnies, Laughs and More! He comes in with a garbage bag. He comes dressed as a garbage bag. Still though, he’s sitting prettier than the 2 hour old food.